NRM South is involved in the protection of shorebird habitat and in raising awareness of the threats to our valuable shorebird population. 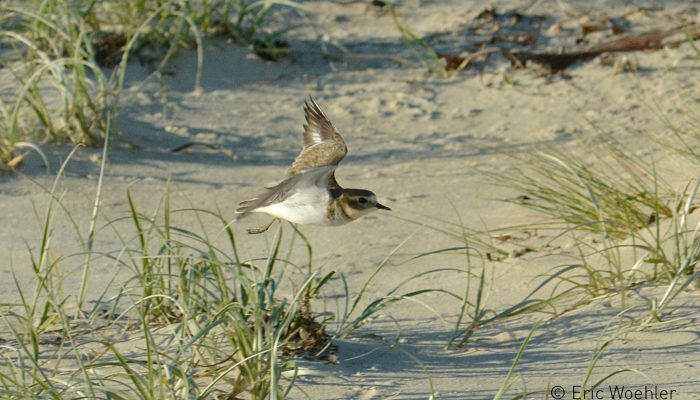 Data collected by BirdLife Tasmania, through annual shorebird surveys and with support from NRM South, community and local government, has identified serious decline in resident shorebirds’ breeding success and recruitment. This is a statewide issue, which is being addressed with support from NRM North and Cradle Coast NRM. 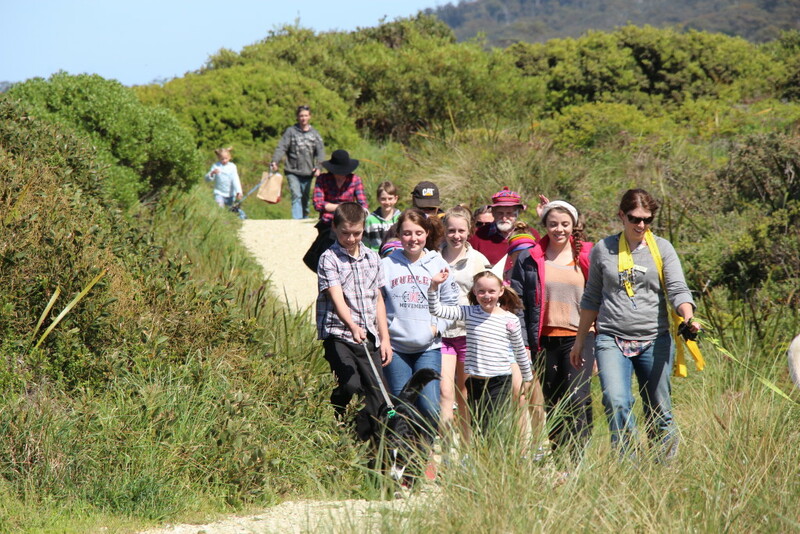 NRM South supports numerous shorebird awareness and protection activities across targeted locations in Southern Tasmania, and works with a range of groups and partners in coastal Southern Tasmania as well as local community, tourists and volunteer groups. We have delivered a range of engagement and protection activities to protect threatened bird species including Discovery Ranger activities, responsible dog ownership events, displays and information distribution, installation of temporary/permanent protection around key breeding sites, surveying and monitoring, installation of interpretive signage and feral control activities. 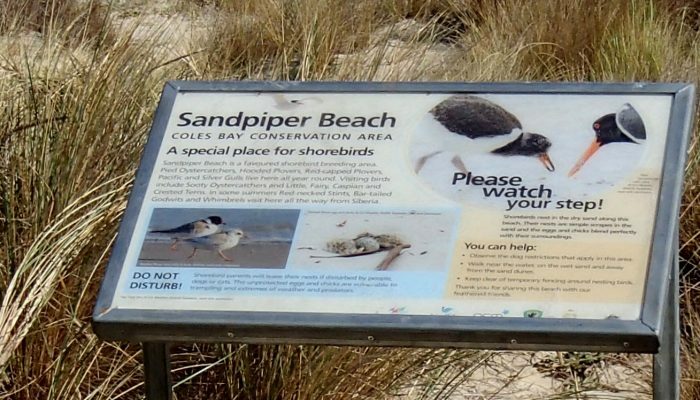 Resident shorebird species at risk of coastal breeding impacts include EPBC-listed Hooded Plover and Fairy Tern, as well as Sooty and Pied Oystercatchers, Red-capped Plover, Black-fronted Dotterel and Masked and Banded Lapwings. 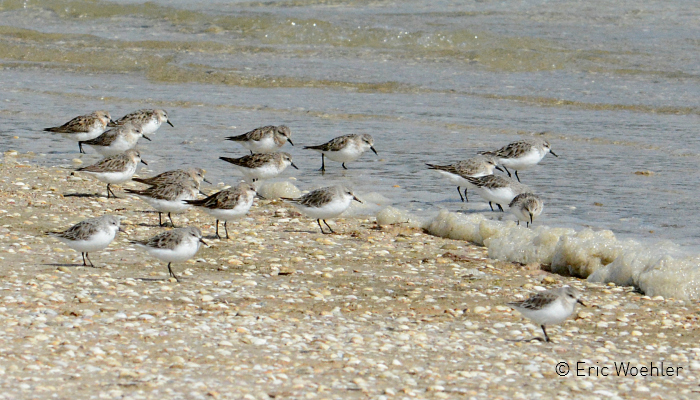 Other migratory shorebirds also frequent our coastal areas, and are often at risk of disturbance. WHY ARE OUR SHOREBIRDS DISAPPEARING? Beach-nesting shorebirds live, feed and breed within a narrow strip of coastal habitat – which is also where a lot of human activity is concentrated, particularly over the summer months. From increased disturbance from the annual influx of visitors to beaches over the summer breeding season, to habitat loss and predation from dogs and cats, there are many reasons why our beach-nesting shorebirds have suffered such a sharp drop in numbers over recent years. 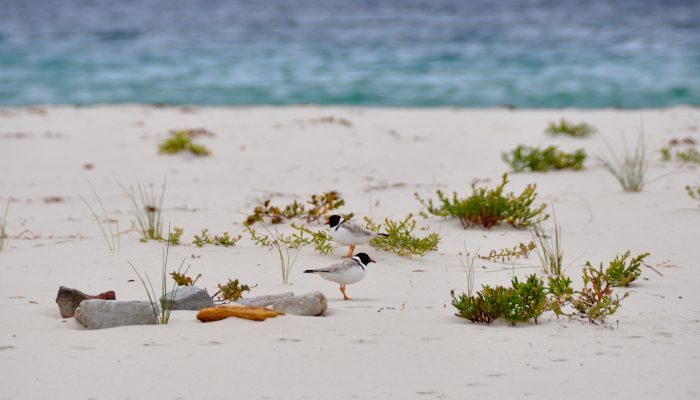 Eggs and chicks are exposed to a myriad of dangers, with cleverly camouflaged eggs being laid right on the sand in exposed nests near the back of the beach or beside dunes. 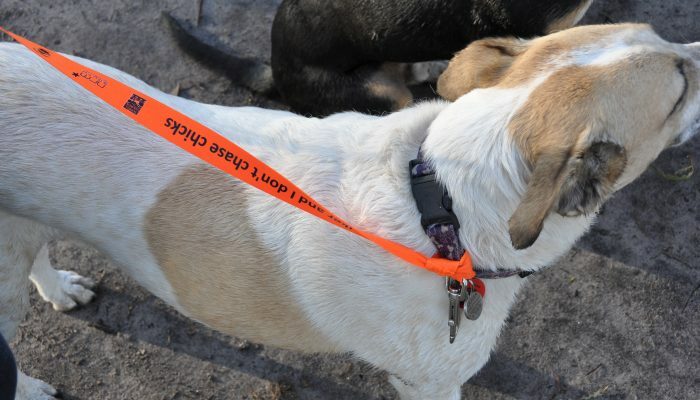 However, every time they are disturbed by a curious dog sniffing through the dunes, a careless step trampling on one of their barely-visible eggs, or a 4WD crushing their entire nest, it represents a huge loss of effort – and in many cases can mean a lost breeding season. Click through the profiles of each of our most at-risk beach nesting shorebirds to find out more. Hooded Plovers feed, breed and roost on Tasmania’s sandy beaches. They are vulnerable to human disturbance – particularly during their breeding season between September and March, which coincides with high beach usage by people. Their eggs are prone to being crushed by beach users, and breeding may fail if they are disturbed. 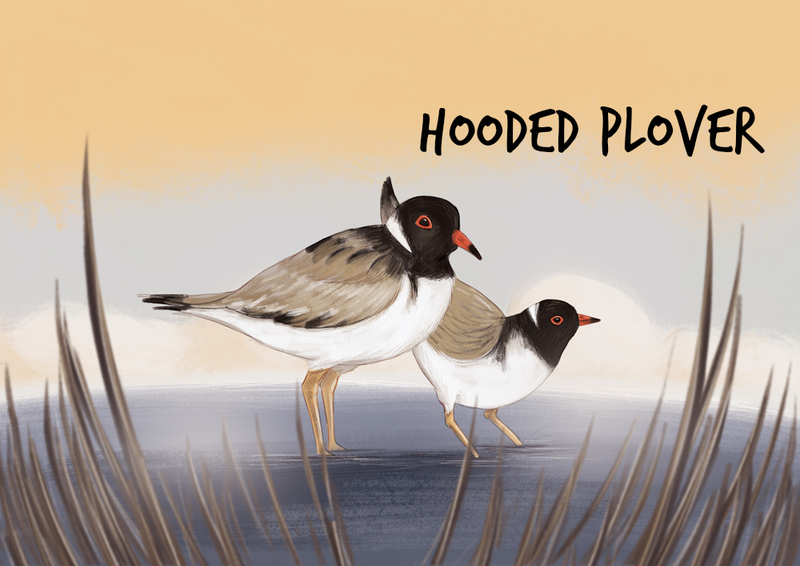 There has been a decrease in the distribution and abundance of Hooded Plovers throughout Australia, including Tasmania. 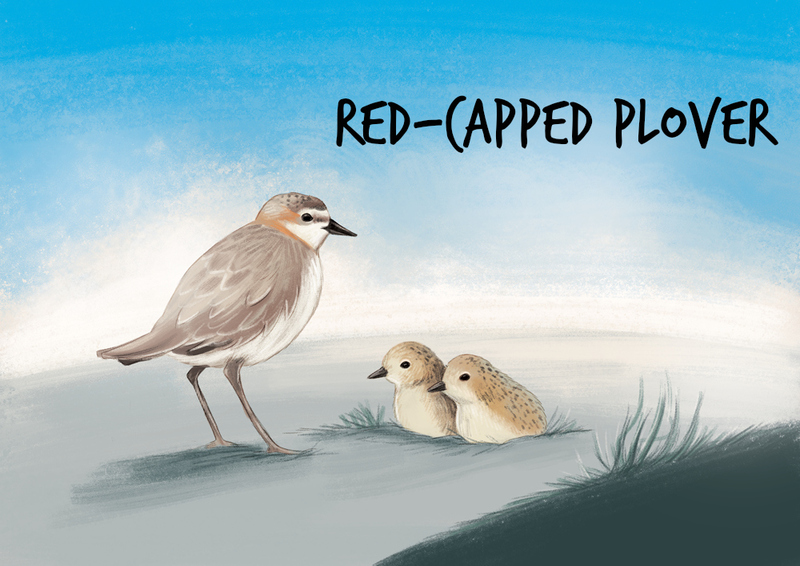 Red-capped Plovers are widespread throughout Australia and, in Tasmania, are found on most coasts. 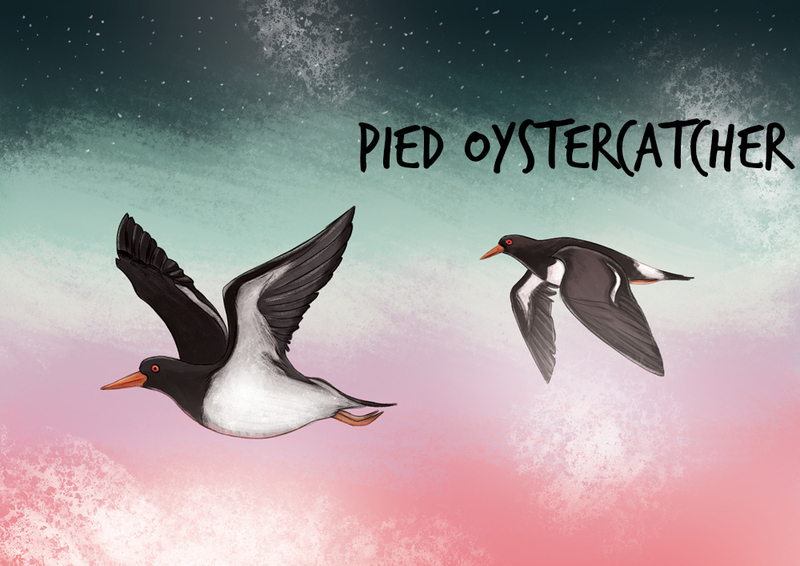 They breed from September to March, laying 2-3 eggs in a shallow scrape – sometimes lined with shells or seaweed. 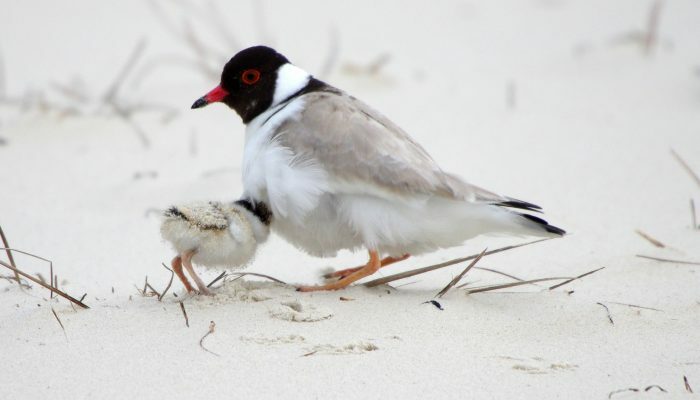 Although the Red-capped Plover is considered to be secure in Australia, nesting birds are vulnerable to dogs, beachgoers and off-road vehicles. Their numbers are decreasing rapidly on Tasmania’s beaches. The smallest of all penguins, Little Penguins nest in burrows along the Tasmanian coast. The Tasmanian population is believed to be decreasing. 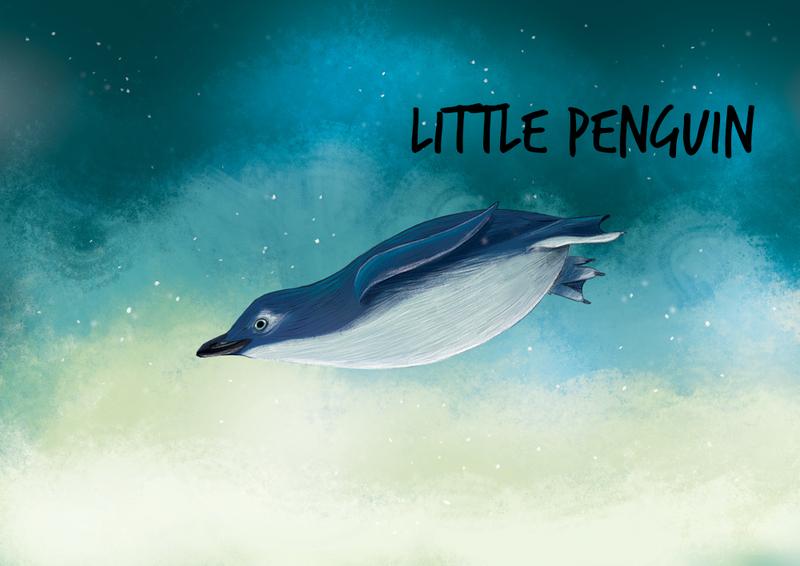 Little Penguins face many threats – from marine pollution, to loss of breeding habitat from human development and disturbance, predation by dogs, and being caught in recreational gill nets. Tasmania’s Fairy Tern population comprises fewer than 200 breeding pairs and is listed as Vulnerable. This migratory species returns to the mainland in winter and in Tasmania they are under threat from predation, loss of eggs and chicks from 4WD activity and disturbance by humans. 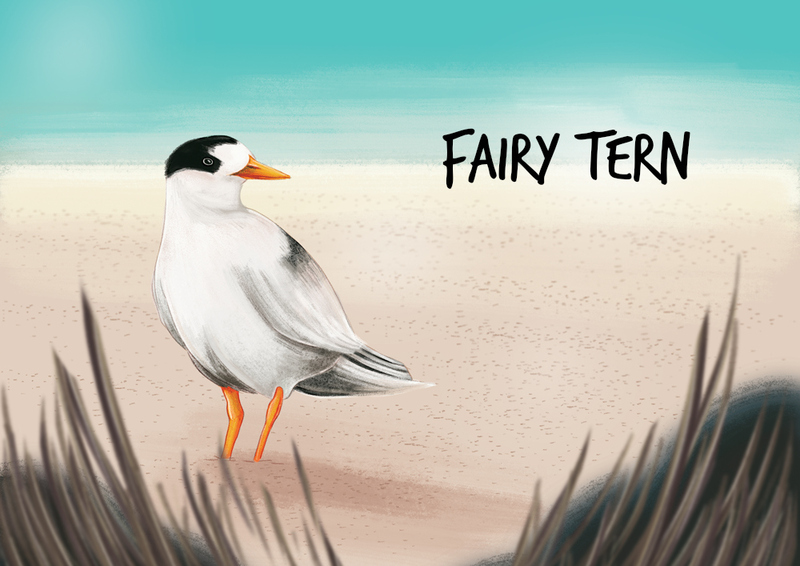 Fairy Tern numbers have decreased by almost 90% in Australia. 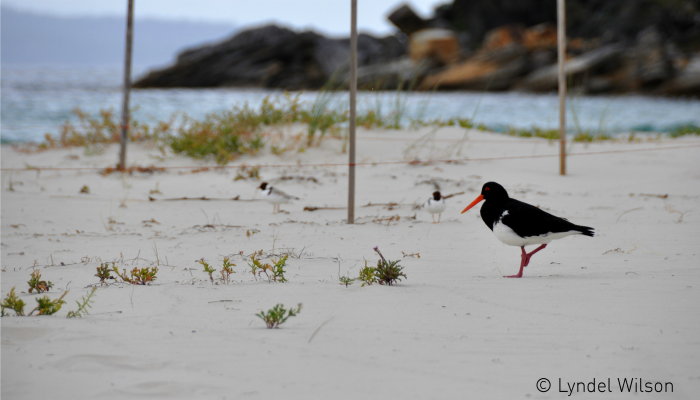 Pied Oystercatchers share parenting duties, with 2-3 eggs laid in a shallow scrape in the sand or among low vegetation at the back of the beach. Eggs are well-camouflaged, and their nests are vulnerable to predation from dogs, being crushed by 4WDs and disturbance from people walking on beaches above the high tide mark. 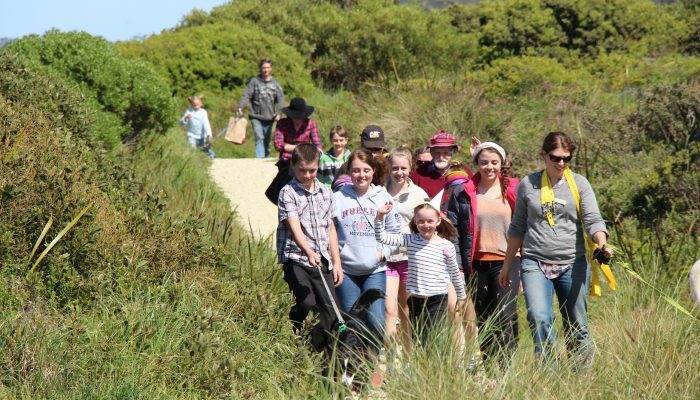 SERSA is a collaborative organisation of multiple government and not-for-profit organisations that have been working to protect beach-nesting shorebirds across Southern Tasmania since 2013. NRM South’s role in this collaboration is to drive the alliance and support regional activity. This includes addressing local issues as well as leading and developing communications (including publications and information resources). NRM South also provides funding for NRM Facilitator roles as well as project funds for partners to deliver their specific activities (e.g. Discovery Rangers), including monitoring, community events, signage, fencing, and schools education. 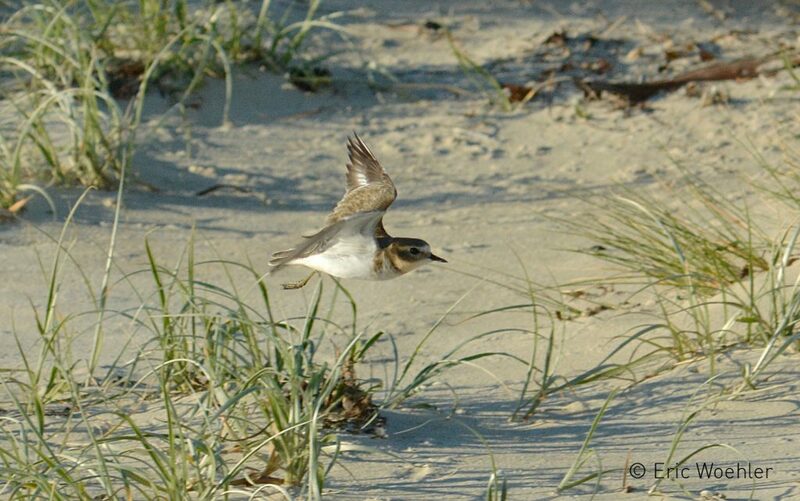 Shorebirds across Australia are facing increasing pressures and Tasmania is seen as the final refuge for many species that have suffered a rapid drop in their populations in recent years. Home to a staggering 50% of the global population of hooded plovers, pied oystercatchers and sooty oystercatchers alone, Tasmania’s beaches are on the frontline of the battle for shorebird conservation and SERSA’s aim is to ensure that beach nesting shorebirds are able to recruit and maintain populations through successful breeding to reduce their rapid decline across Tasmania, and to work with the community to contribute to this effort. Since 2013, SERSA have been working to educate the community, locals and visitors about the crisis facing our beach nesting birds. 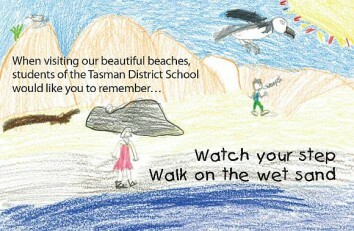 Funded through NRM South via the Australian Government’s National Landcare Programme, SERSA works with schools, community groups, visitors, locals and interest groups to promote the message that beach users stick to wet sand, keep dogs on a leash, and to keep a respectful distance from shorebirds. 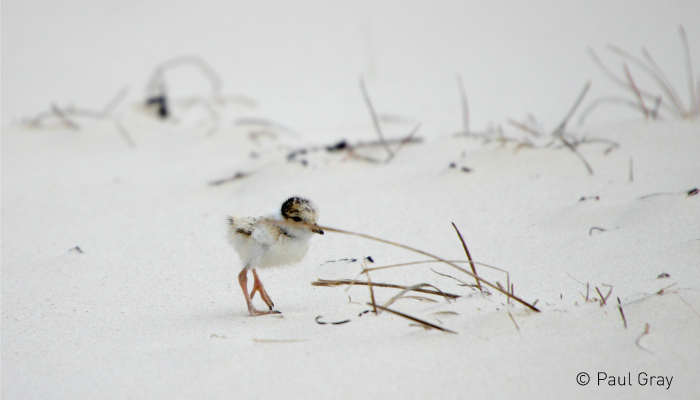 SERSA’s aim is to ensure that beach nesting shorebirds are able to recruit and maintain populations through successful breeding. 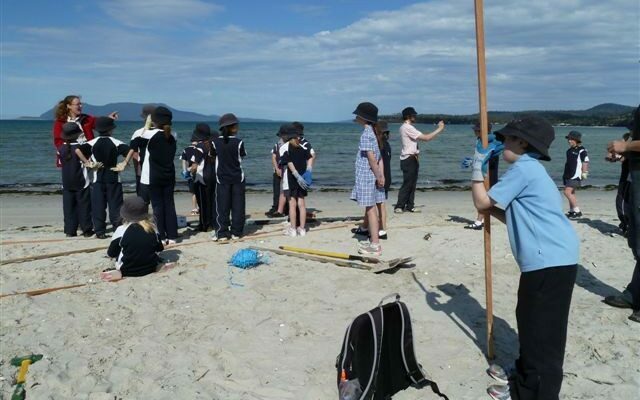 BirdLife Tasmania are an essential contributor to this work, having accumulated years of beach survey data that informs and assists SERSA in targeting priority areas and providing vital information about the status of beach-nesting bird populations across various Tasmanian beaches. In 2015, SERSA won the Tasmanian Landcare Government Partnerships award in recognition of its efforts.